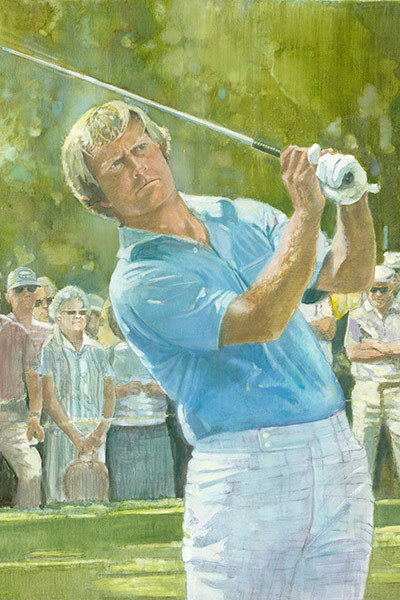 Jack Nicklaus won his 16th major championship in a very comfortable setting – Firestone Country Club. Jack Nicklaus had every reason to feel right at home when he arrived at Firestone Country Club in Akron, Ohio, for the 1975 PGA Championship. after all, he had won one American Golf Classic and four World Series of Golf on the course, which was redesigned by Robert Trent Jones prior to the 1960 PGA Championship. Nicklaus opened with rounds of 70-68-67 to take a four-stroke lead into Sunday and then played a conservative final round, shooting a 71 to beat Bruce Crampton by two strokes. almost as remarkable as the fact that he won the first and last majors of the year, he also came up just a combined three strokes shy of getting into playoffs at the U.S. Open and British Open as well.